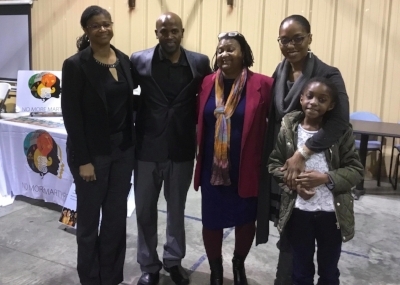 No More Martyrs was onsite in Aliceville, Alabama to celebrate the memory and legacy of Martin Luther King Jr. during an MLK Day program organized through New Wright Missionary Baptist Church. Dr. Nadia Richardson, Founder of No More Martyrs, accepted the invitation to serve as keynote speaker. 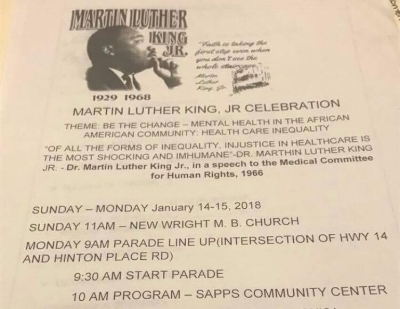 "Participating in today's event was a valuable opportunity to share the mission and purpose of No More Martyrs as well as empower participants to see mental health advocacy as an extension of the social justice and equity work that Martin Luther King Jr. dedicated his life to." Additional presenters included Dr. Pamela Payne-Foster, Dr. Monica Anderson and Dr. Rahaem Paxton all from the University of Alabama. Dr. Nadia Richardson (with daughter), Dr. Pamela Payne-Foster, Dr. Monica Anderson and Dr. Rahaem Paxton. 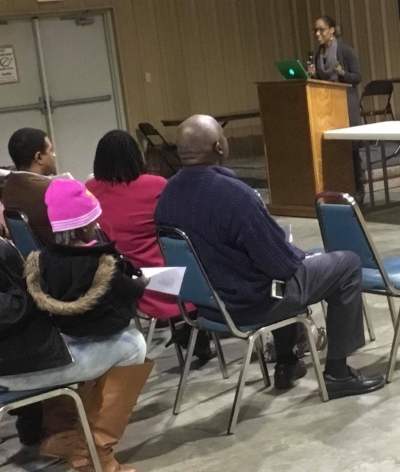 According to event organizer, community activist Belinda Craig, New Wright Missionary Baptist Church has held this special event annually since 1984. Ms. Craig, who organizes year-round community events such as senior citizen computer classes, summer tutoring programs and food bank distribution, shared that the purpose of the annual MLK event is to inspire and empower participants to contribute to their communities and the world.